In early 1978 Universal City Baptist Church, now known at First Baptist Church, was providing a nursery school and small kindergarten for the surrounding Randolph area. ​​ A church committee, WEE, Weekday Early Education, was responsible for this ministry. 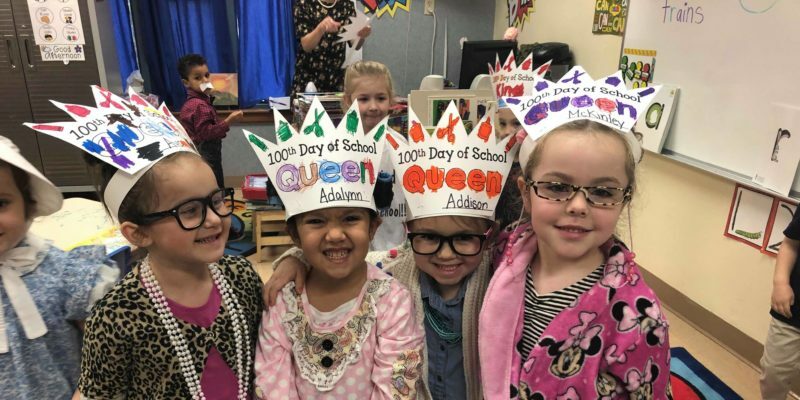 ​​ Since the public schools had yet to bring kindergarten into its formal schooling program, many families asked for a good kindergarten program in the community that would also allow for their children to continue their education into First Grade and even higher grades. As a school teacher and mom, I was asked to serve on the WEE Committee, which later asked me to build up the present kindergarten and put in a new First Grade. ​​ I accepted the challenge with very little knowledge of such an undertaking. ​​ I am sure it was the Lord’s plan​​ NOT​​ to let me see what was involved with such a project, or I probably would have run for the hills. ​​ Thus, began my research. 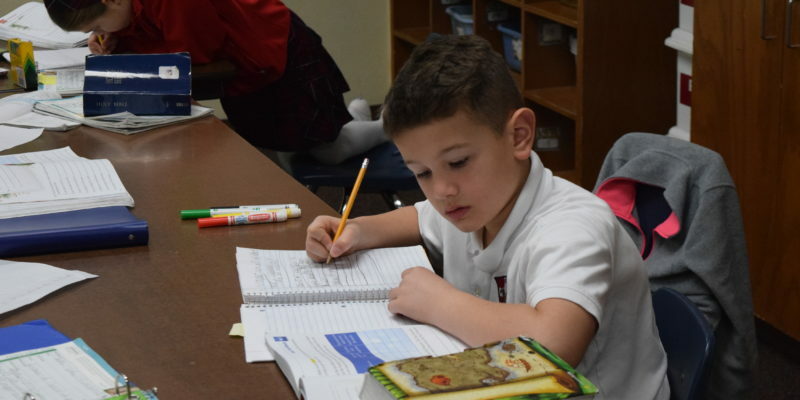 The mission for First Baptist Academy is to educate students for time and eternity by presenting God’s truth in all areas of education and character development. Next, as we watched the jets flying over our heads from Randolph AFB, the UCCA Committee decided that the Eagle would become our mascot. ​​ With such a massive task before us, we chose Isaiah 40:31 for our supporting scripture. 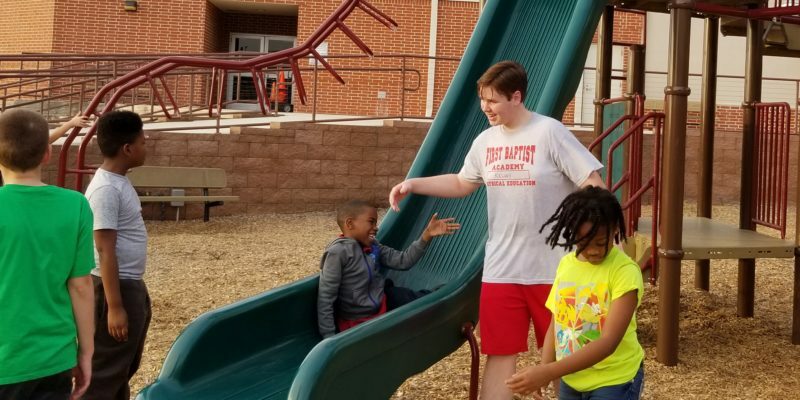 There was no doubt in our minds that our primary goal was to share the gospel with the students and their families; thus, the color RED, for our Lord’s blood sacrifice, and WHITE for our ‘clean as snow’ new bodies in Christ, became our school colors. ​​ The supporting color would be Royal Blue for the King of Kings. ​​ Our Church voted that it would be so. It took from 1978 until the fall of 1979 to choose Christian curriculum, interview evangelical teachers and open registration to the public. ​​ Of course, it takes money to grow a school, and the Lord was gracious to provide a $5000 gift to get UCCA off the ground. ​​ In 1981, second thru sixth grade was included. ​​ Away, we all went preparing for the future on wings as eagles and with the strength of the Holy Spirit within us. ​​ As one would say, “The rest is history”. Today, First Baptist Academy ministers to more than 400 students through the 12th​​ grade of High School. ​​ It also provides for licensed preschool classes and an extended program for students who need before and after school care. 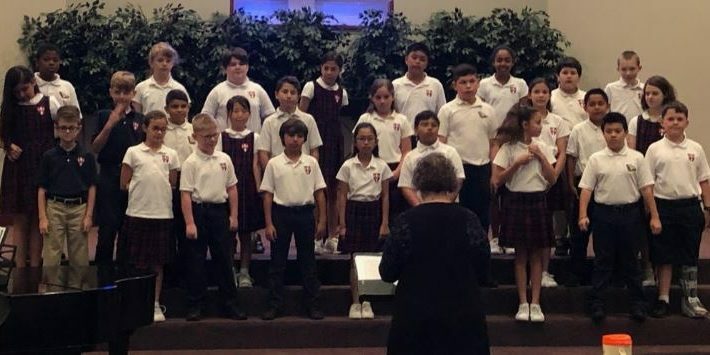 ​​ First Baptist Academy is a fully accredited elementary, middle school and high school with 99 percent of its graduates going onto higher education, most having obtained scholarships. I am blessed beyond measure to have been a part of and used by God to grow the Academy for 33 years. The FBA family is called the​​ Grove because, like the redwood trees whose roots are woven together & grow 3​​ times​​ longer than their height, we abide together & can do all things through Jesus Christ who strengthens us! ​​ (John 15:5; Phil 4:13)! Sounds of Summer is a summer weekday program offered to students​​ ages 3 years old (completely​​ toilet trained, pull-ups are not permitted​​ as it is not considered to be toilet trained) to 13. Students entering the 3 year old or K4 program must be 3 or 4 years old prior to Sept. 1. ​​ Pre-enrollment is required. This service is designed as a ministry for our working parents; however, it is open to members of First Baptist Church and to the public. ​​ Drop-in students are welcome as space is available. Enrichment activities, art,​​ library, computer,​​ field trips and other activities are available as part of the program. Students will also attend a week of Vacation Bible School​​ at First Baptist Church. The summer program is available from 6:30 a.m. until 6:00 p.m., Monday through Friday. ​​ Refer to the school calendar for actual dates. Enrollment is open to students​​ for hourly, daily, weekly, monthly, or drop-in care. ​​ All families wishing to participate in drop-in care​​ must​​ be pre-enrolled. ​​​​ A 24-hour advance notice is necessary to hold a place for your child, as the program is limited on the number of students it can accommodate. Students in Preschool and Kindergarten classes must supply a​​ waterproof mat​​ (size 1”x19”x45”) for nap time. ​​ Because of storage space, mats larger than the required size will not be allowed. ​​ Students may also bring a 4’ x 3’ blanket (no sleeping bags), small pillow (16” x 11”) and a small stuffed animal. ​​ Blankets will be sent home every Friday for cleaning. Students are not permitted to leave the building alone. ​​​​ An adult is required to sign students​​ out​​ each day​​ using their own individual ID card. ​​​​ Students will not be allowed to sign themselves out. ​​ Persons picking up may be asked to show picture identification prior to students being released. This fee must be paid at the time the student is picked up or the morning​​ thereafter. ​​ If fee is not paid in full the​​ following day, an additional $15.00 will be assessed and $2.00 per day until the fee is completely paid in full. Each​​ adult picking up or dropping off will be issued their own individual ID cards. ​​ There will be no fee for the 1st​​ ID cards, but replacement cards will be $5.00. Attendance is maintained. ​​ When possible, please inform SOS if your child will be absent. Tuition and fee schedules are available in the school office​​ and on the school website. ​​ The schedules include enrollment fees, tuition amounts, discounts, and payment options. An enrollment fee secures a student’s place;​​ therefore, it is non-refundable. Weekly​​ tuition is due on Monday of each​​ week and late on Tuesday. ​​ A​​ $15.00 late fee will be charged on Tuesday, and a $2.00 charge for every day thereafter. ​​ If​​ weekly​​ tuition payment is not paid by the following Monday, the student(s) will be dismissed from the SOS program. August​​ weekly​​ tuition must be paid on Monday of each week or your child(ren) will be dismissed from the SOS program on Tuesday of the same week. 20th, the student(s) will be dismissed from the SOS program. August​​ monthly​​ tuition must be paid by the first Friday of August or your child(ren) will be dismissed from the SOS program. Drop-in/Daily​​ fees must be paid at the time of pick-up. There is a $35.00 fee for all returned checks. ​​ Late tuition charges will also be assessed. ​​ If a second check is returned to the Academy, check privileges will be revoked and only cash, certified checks, or money orders will be accepted. Every student is​​ required​​ by state law to have a completed medical form on file. ​​ This information provides the necessary health history of each student plus emergency information. K4 students must have a health form with a physician’s signature.​​ This form must be turned in​​ before​​ the student may attend the program. All students enrolled are required by the Texas Department of Family & Protective Services to be immunized according to the Texas State Vaccine Requirements. ​​ The immunization record must be current. ​​ A​​ validated​​ copy is required in each student’s file. ​​ Updates to records must be provided to the Academy each time a student receives an immunization. ​​​​ Immunization records must be on file within one week of your child starting the SOS program. All students must have an authorization for emergency medical attention signed by a parent/guardian on file. The Academy​​ does not​​ carry insurance for student injuries. ​​ Student injuries are the responsibility of their parents/guardians. Parents/Guardians are requested to notify the Academy as soon as a student has been diagnosed with a communicable disease (chicken pox, mumps, influenza, lice, pink eye, etc.). ​​​​ The administration will notify families of the Academy when necessary. 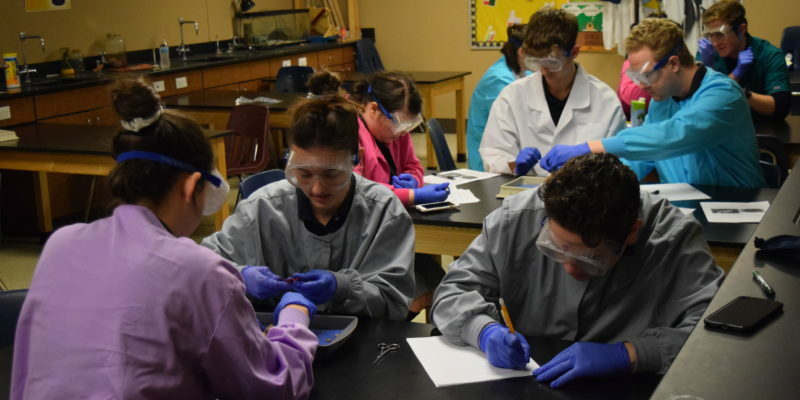 If a student has been diagnosed with a communicable disease, he/ she may not return to school until medical evaluation determines the student is no longer contagious. If a student has a fever, he/she is considered infectious and may not return to school until​​ fever free over 24 hours​​ without the aid of medicine to keep the fever down. ​​ Providing your student with acetaminophen (Tylenol) or ibuprofen (Advil or Motrin) only masks the symptoms/temperature. ​​ ​​​​ It does not make the student less contagious. Students who become ill or hurt are assessed by the Director or Assistant Director for illness or injuries. If a student is in much discomfort, the parent/guardian will be contacted and requested to come for the student. ​​​​ Everything possible will be done for the student’s comfort and welfare. ​​ Parents are to make arrangements to pick up the student within an hour. ​​ If an hour elapses before the student is picked up, the standard late pick up fee will apply. In the event a student suffers a head injury, every effort will be made to notify the student’s parent/guardian immediately. ​​ Should a student require medical attention following an illness or injury, a written authorization from a physician is required before returning to school. ​​ Students who are sent home are not permitted to return to school the same day. In the event of small superficial abrasions and minor cuts, injuries will be cleansed and bandaged. ​​​​ First aid supplies are administered by school personnel only. ​​ ​​​​ Please note: ​​​​ Academy personnel will not perform any function which requires an invasive procedure (i.e. remove splinter embedded under skin, remove foreign object in ear canal or nasal passage, etc. Medications will not be administered by Academy personnel without written orders by a physician or parent/guardian. ​​​​ Prescription medications must be in original containers with a current date and physician’s directions for use. ​​ When having a prescription filled at your pharmacy, please ask for a “school bottle.” ​​ The pharmacy will provide this free of charge. ​​ Parents/Guardians are required to complete an authorization form prior to any medication being administered. ​​​​ Students are not permitted to self- medicate unless written orders are provided by a physician.​​ The Academy does not provide cough drops, cough medicine, throat sprays, lozenges, antihistamines, or decongestants. ​​​​ Students are permitted to bring cough drops or lozenges to their teachers for administration. ​​ Students​​ may not​​ keep these items in their possession. ​​ Acetaminophen (Tylenol or generic) will not be administered unless parental/guardian brings it for their child with the completed medical form; however, 3 year old & K4 students are​​ never​​ given acetaminophen while at the Academy. The Texas Department of​​ Family and Protective Services​​ requires the Academy to report any suspected abuse or neglect of a student. Students may wear comfortable, summer clothing. ​​ They are expected to dress in a neat, well-groomed and modest fashion. ​​​​ Spaghetti straps, halter tops, or leggings are not permitted. ​​ Shorts must be a modest length. Preschool and Kindergarten​​ students​​ must​​ have a change of clothing in case of accidents. ​​ Please have these items clearly marked. No t-shirts or patches with suggestive writings or inappropriate transfer images are permitted. TENNIS SHOES ONLY. ​​​​ Boots​​ and sandals/flip-flops are​​ NOT​​ permitted. ​​​​ Exception – students may bring sandals/flip-flops to change into for Splash Day. Due to outside play and art work, the Academy does not assume responsibility of damaged clothing. Students may not wear short tops (mid-riff / crop top). Modest one-piece swimsuits must be worn on Splash Days every Friday.​​ If there​​ is​​ any​​ doubt concerning the​​ modesty of the suit, please send a t-shirt to be worn over​​ suit. Students are expected to use the restroom facilities without the aid of a faculty member. ​​ Remember to dress your student appropriately. Absolutely no body tattoos or transfers are permitted. ​​ If a student attends school with a tattoo and it cannot be removed by the student, the parent/guardian will be contacted to come to school to do so. ​​ Please do not put your child in this situation. Large dangle earrings, large heavy necklaces, and “fad” jewelry are not permitted. ​​​​ Students will be required to remove any jewelry outside the dress code. ​​​​ Ear piercings only are permitted. ​​ Boys may not wear earrings of any kind. Girls are not permitted to wear make-up. Students are not allowed to have cell phones, IPods, MP3 players, or video games. A Christian school recognizes that the parents/guardians have the primary responsibility to train a child for life’s requirements. ​​ However, in a Christian school, godly teachers can help students build a strong root structure for their faith. ​​ In a Christian school, students will learn they are made in the image of a loving God who wants them to grow in Christ-like character. ​​ The school works with the home in building a foundation of spiritual and moral values as well as in teaching basic skills. A Christian school is not a substitute for the home or church. ​​ In fact, the child who benefits most from attending a Christian school is the one whose parents/guardians teach and practice God’s ways at home and make sure their family is involved in a Bible-teaching church. ​​ In no way can the school carry out spiritual or academic training effectively without wholehearted support from home. We believe that the heart of character development is obedience with a submissive heart which will eventually cultivate an inner self-discipline. This is fostered in students based on respect and reverence to God and all authority with the teacher being the authority in the classroom. Demerits are posted in Praxi with parent notification placed in the student’s Daily folder. Throwing objects indoors, playing with irrelevant objects, chewing gum, etc. Talking out without recognition, interrupting the teacher or a class discussion. Disruptions of school activities or disorderly conduct. Being in an unauthorized area or building on campus. Inappropriate use of internet or other electronic media. Deliberate disobedience and/or any physical or verbal disrespect (talking back) to an adult. Bullying, fighting, threatening or harassing another student, physically or verbally. ​​ Bullying: ​​ repeated aggressive physical or verbal behavior towards a weaker student which ​​ harms, hurts or humiliates. Tampering with school or church equipment or property, or destroying property in any manner. Possession of weapons (knives or other harmful objects). Possession of pornographic or occult material. *Temper tantrums can be grounds for immediate dismissal. ​​ Should a student throw a temper tantrum (throwing self on floor, kicking, screaming, throwing things, shouting loudly, or refusing to come under control), parents will be contacted to pick the student up from school, and the student can be dismissed immediately. If the academy finds it necessary to dismiss a student, several procedures will occur. Communication will be sent to the parent/guardian describing the problem(s). A conference will take place among the parents/guardians, the administration, and possibly the teacher. The parents/guardians will receive a letter of expulsion from the administration. The academy is committed to maintaining an academic environment in which all individuals treat each other with dignity, free from all forms of intimidation, exploitation, and harassment (including sexual harassment). ​​ The academy will treat allegations of harassment seriously and will review and investigate such allegations in a prompt, confidential and thorough manner. ​​ A charge of harassment is not, in and of itself, create the presumption of wrongdoing. ​​ However, substantial acts of harassment will result in disciplinary action up to and including dismissal. Verbal Harassment: Derogatory comments and jokes/threatening words. Physical Harassment: Unwanted physical touching, contact, assault, deliberate impeding or blocking movements or intimidating interference with normal work or movements. Visual Harassment: Derogatory, demeaning/inflammatory poster, cartoon, written words, drawings, gestures or computer images. Submission to such conduct is made explicitly or implicitly a term or condition of a faculty/staff/student member’s status or progress. 3. ​​ Conduct that creates an intimidating, hostile or offensive environment. 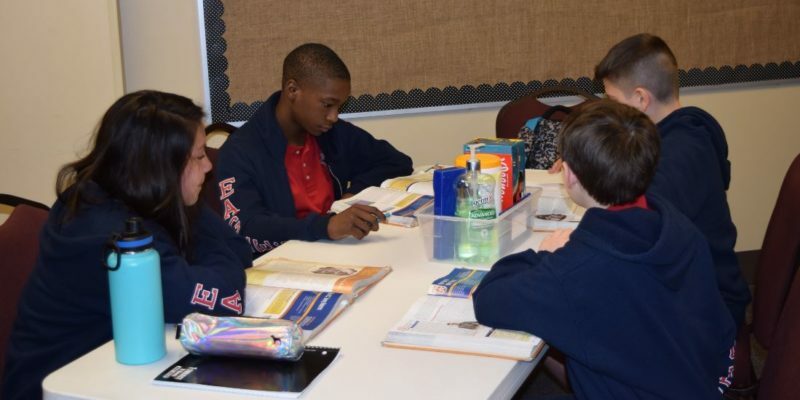 First Baptist Academy strives for academic excellence and spiritual character building. ​​ In order that each student develop in academically and spiritually, parents/guardians and teachers MUST be cautious and not fall into the current trend toward mediocrity and sub-level performance and behavior. ​​ We encourage our families to “hang tough” against worldly pressures and to stand firm with their students, equipping them well for the future. ​​ This takes much time, effort, and consistency for parents/guardians and teachers, but we know your student is worth every moment. If a conference with a teacher or administration is desired at any other time, it may be scheduled with the teacher or administration. ​​​​ Please​​ do not​​ expect a “drop in” conference, including drop off or pick up times. Every Thursday afternoon, the 1st-8th​​ grade students will​​ go on a fun field trip activity. ​​ Times will vary depending on the location and activity. ​​ Please refer to the SOS calendar and newsletter for information. ​​ Students will be transported on the school bus. ​​ All students 1st-8th​​ grade that attend SOS on a field trip day must attend the field trip. Students will be required to purchase and wear on SOS t-shirt on field trip days. ​​ T-shirts can be purchased at the SOS desk. The cost of the field trip will vary, depending on the activity. ​​ This fee is not included in your tuition, and will be an extra cost. ​​ Field trip fees will need to be paid the morning of the field trip, cash only. We do not serve breakfast; however, you may bring your child a breakfast from home. We do offer white milk. Breakfast may be eaten​​ only​​ between 6:30 a.m. and 7:30 a.m.
A nutritious snack and water will be served to all students​​ at no additional cost.​​ Students will not be allowed to​​ bring their own snack. ​​​​ Students are allowed to bring a water bottle to school. Hot lunch is available daily; however, money must be put on the lunch account prior to ordering lunch. Lunch orders are placed​​ promptly at 9:00 a.m.​​ If your child needs​​ a hot lunch but will be on campus later than 9:00 a.m., you may place an order by telephone. If a hot lunch is ordered by a student and the student does not eat it, the lunch​​ must be paid for, regardless of the reason. Lunch is held from 11:30 a.m. until 12:00 p.m. Students may bring a sack lunch from home.​​ We will neither warm nor refrigerate lunches.​​ Milk is available for purchase.​​ Red and purple drinks or jello​​ are NOT permitted in the lunchroom or classrooms.​​ Please do not include these drinks in student lunchboxes. Students​​ may not​​ purchase or bring soft drinks. The Academy also requests that parents/guardians avoid excessive sweets in student lunches. Students may not be taken off​​ campus for lunch without permission from the Director, Assistant​​ Director, or person in charge. Families must keep the Academy apprised of current addresses and telephone numbers. This includes​​ all​​ emergency information,​​ even if it is ONLY temporary. Every month, students will participate in a fire drill. ​​ Students will be instructed on the correct procedures according to the Universal City Fire Department. ​​ Other emergency drills (tornado, Lockdown/Lockout, etc.) will also be practiced quarterly. ​​ For information on the procedures used by FBA for these drills, in cooperation with the Universal City Police Department, you can go to the website​​ www.iloveuguys.org. Circumstances may occur at the​​ school that requires​​ parents​​ to pick up their students in a formalized, controlled release.​​ The process of controlled release is called a reunification and​​ may be necessary due to weather, a power outage, hazmat,​​ or​​ if​​ a crisis occurs at the school. ​​ In the event of an evacuation, FBA will relocate to the Universal City Public Library (100 Northview Drive,​​ Universal City,​​ 78148). ​​ Parents will be notified of the evacuation and given direction for reunification via text message. ​​ For reunification, please be sure to bring your ID when picking up your child. ​​ You will check in at the appropriate area, which will be marked to be found easily, and your student will be brought to you. ​​ Students will only be released to individuals who are on their approved pick up list. First Baptist Academy has prepared a response plan should there be a chemical, biological or nuclear attack, or aircraft emergency. ​​ It also has a plan should any bio-hazard threatening materials be discovered on campus. Lockdown procedures are also in place should there be any threat to harm students. The Academy is very proud​​ of its 3 Year old & K4 program. 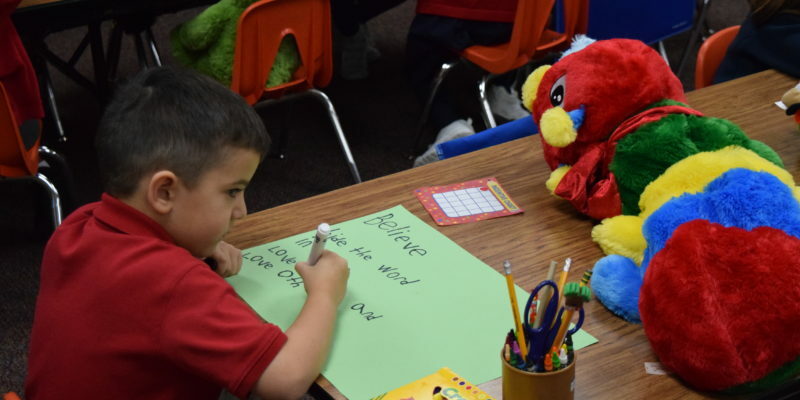 Classes meet weekdays from 8:15 a.m. until 11:15 a.m. Our 3 Year old &​​ K4 department is licensed by the Texas Department of Family and Protective Services. ​​ If you are interested in the program, please contact the school office for more information. The Academy is very pleased to offer our community a fully graded elementary​​ school (K5-5th), middle grade classes (6th-8th), and high school classes (9th​​ – 12th). Students are challenged with an accelerated curriculum. In addition to their regular studies, the elementary children have Bible, music, computer, and physical education. The middle grades may chose electives of Speech/Drama, Spanish, Art, Choir, Computer and Athletics. The entire child, spiritually, academically, socially, and physically is nurtured by loving teachers. 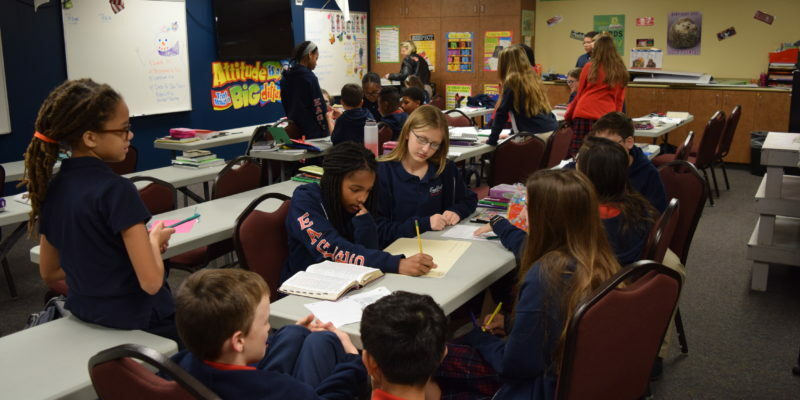 The Academy is a member of the Association of Christian Schools International and Texas Association of Private and Parochial Schools whose high standards have become those of this Academy. 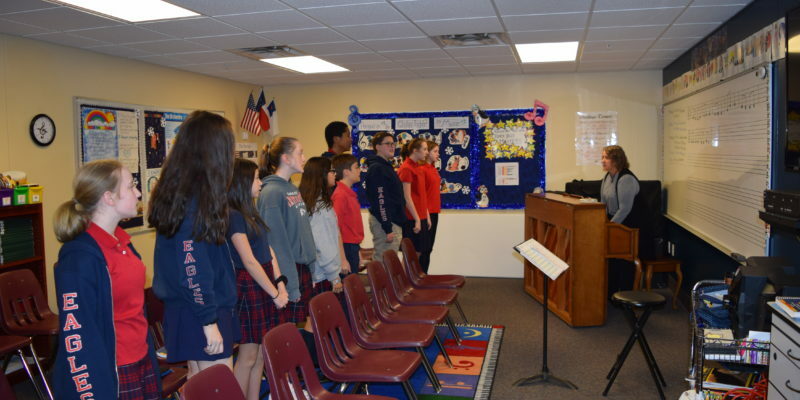 The Academy is accredited by the Association​​ of Christian Schools International through the Texas private School Accreditation Commission which is recognized both nationally and by the state of Texas. If you would be interested in continuing your child’s education in a Christian environment, please contact the school office for more information. The Academy is happy to provide excellent before and after school care for its students. This is​​ not​​ a baby-sitting service. The program is an extension of our daily program. A specific schedule is planned to continue student learning throughout the day. ​​ Art, recreation, snacks, and entertainment are all part of the​​ program. K5-8th grade​​ students have a designated quiet homework time on Mondays, Tuesdays, and Thursdays.​​ It is not the responsibility of ELS to assist or tutor students;​​ however, teachers will monitor during this time of study. Extended Learning is offered daily from 6:30 a.m. to 6:00 p.m. The program is licensed by the Texas Department of Family & Protective Services. ​​ For more information on the program, contact the school office. 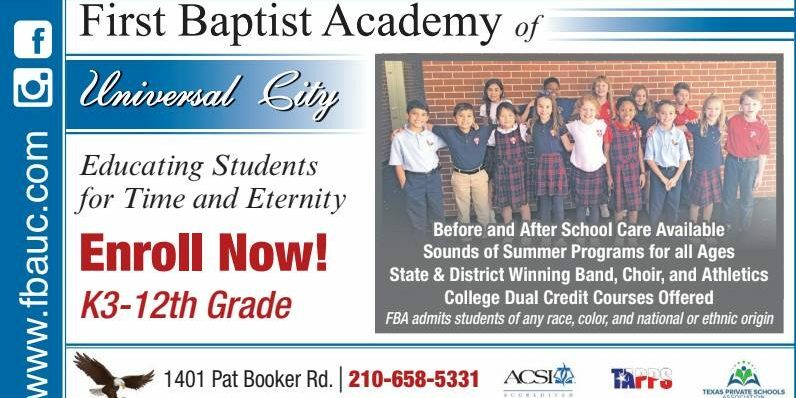 First Baptist Academy is an outreach ministry and an auxiliary of First Baptist Church of Universal​​ City. ​​​​ As such, it is exempt from the requirements imposed by the Americans with Disability Act. ​​ The Public Accommodations Title exempts religious organizations from coverage under that section of the Act. ​​ Furthermore, First Baptist Academy does not accept any federal financial aid or assistance. 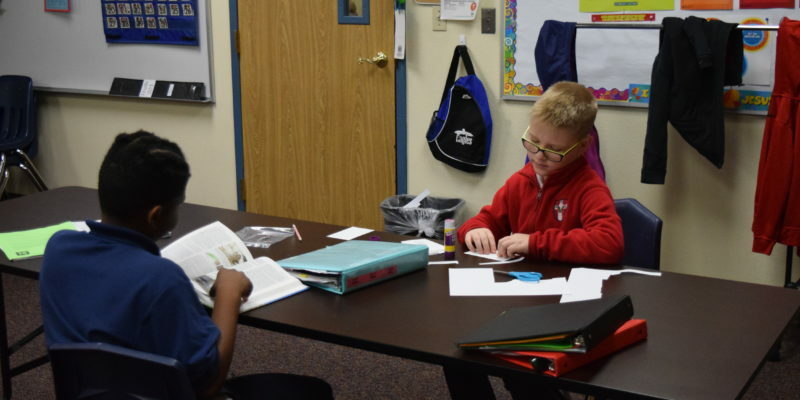 ​​ Since First Baptist Academy is not a recipient of federal financial aid or assistance, it is not covered under the Rehabilitation Act of 1973, which could require the Academy to provide for students with disabilities. First Baptist Academy regrets that it cannot accommodate students with physical, mental, or emotional disabilities. ​​ These students are precious in God’s sight and need a school wherein they will receive all they might require.